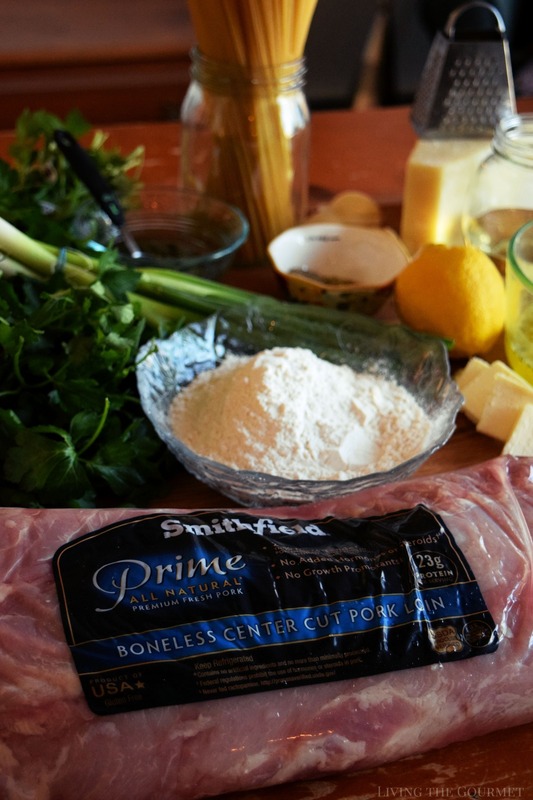 We’re giving a classic Italian dish a makeover with fresh pork! 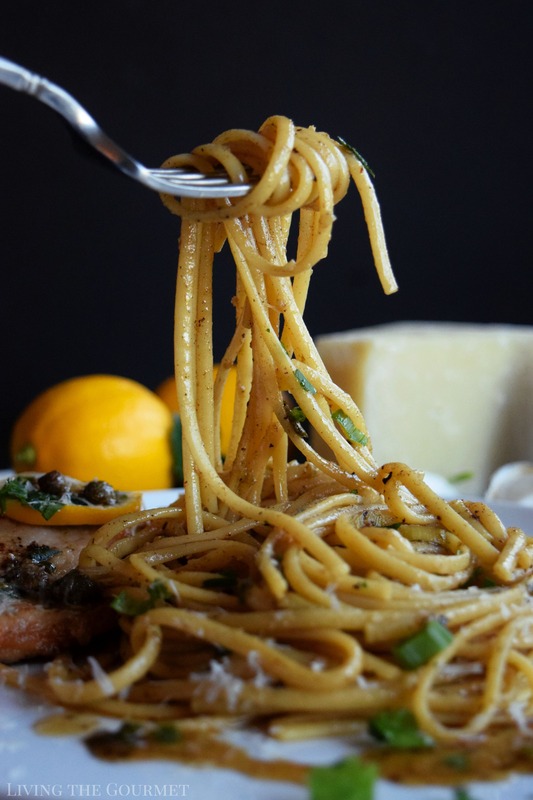 This Pork Piccata with Linguine is an easy meal to make any night of the week and one that the whole family will love! 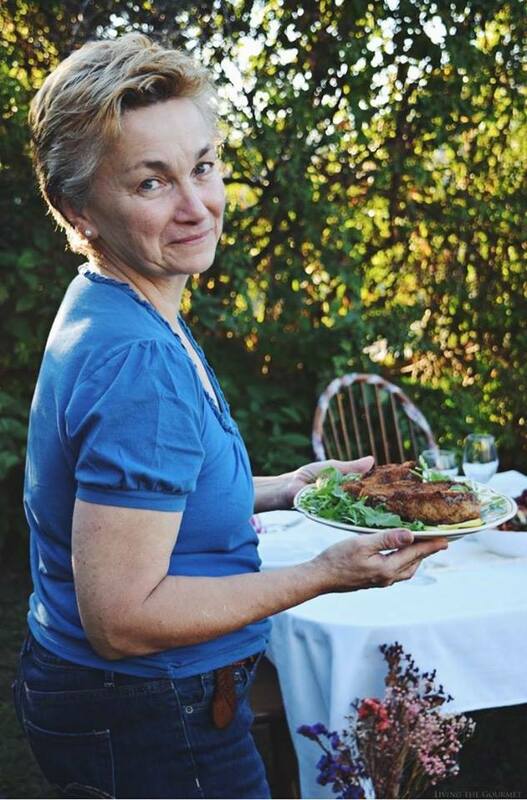 In other words, “Food is the language of culture given physical form,” and as with spoken language, ‘fluency’ is defined not by the precise use of ingredients or cooking methods, but by what comes naturally or simply what ‘feels’ right. In other words, you can continue stumbling over the prep of certain dishes, you can continue failing to understand the precise ‘why’ or ‘when’ of certain ingredients, but if their use is natural or ‘second nature,’ and the end result delicious, you’ve become fluent. Why do I bring this up? For the simple reason that that’s pretty much the story behind today’s recipe. Some context. 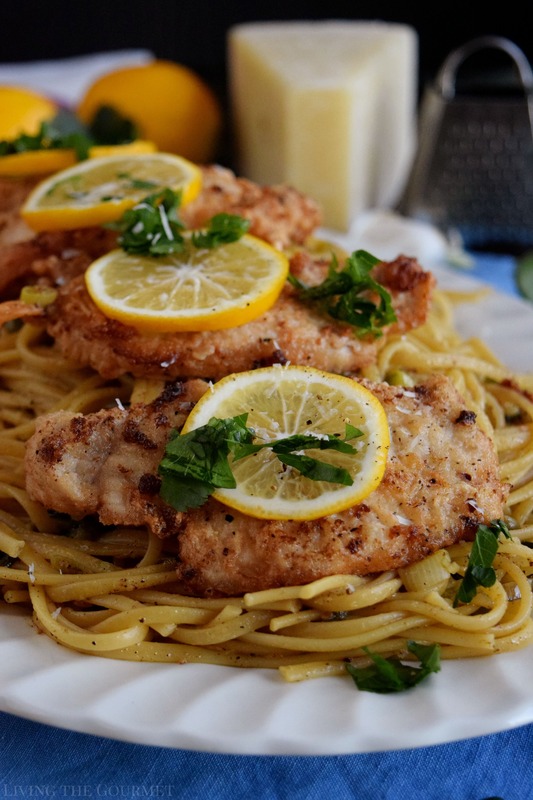 Piccata in the US is thought of almost exclusively as a chicken dish, whereas in Italy it’s usually made either with veal or, particularly in Milan, with swordfish. 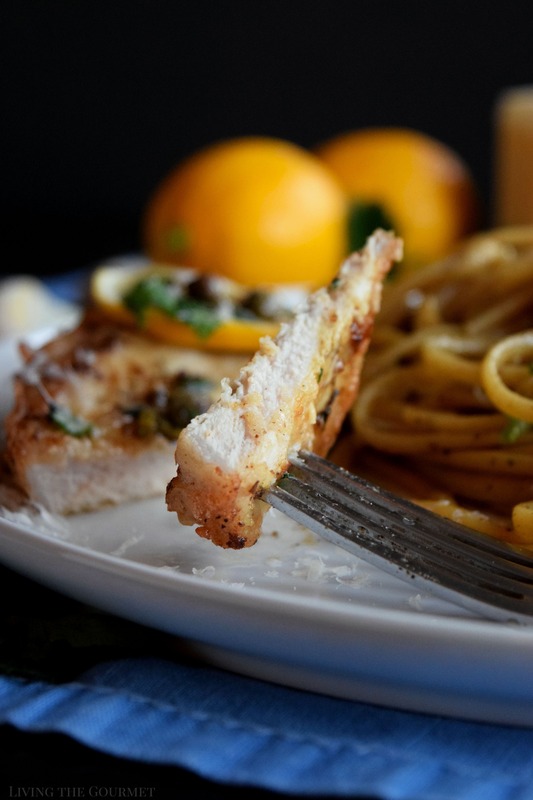 In each case, the basics stay the same – we begin with a thinly sliced or flattened piece of meat or fish, called the ‘scaloppine,’ while the ‘piccata’ is the method of cooking. Today, we’re breaking with all three traditional variations and are preparing it with fresh pork served over a bed of linguine. And I promise the end result will be just as ‘natural’ and ‘delicious’ as the classic versions we all love. 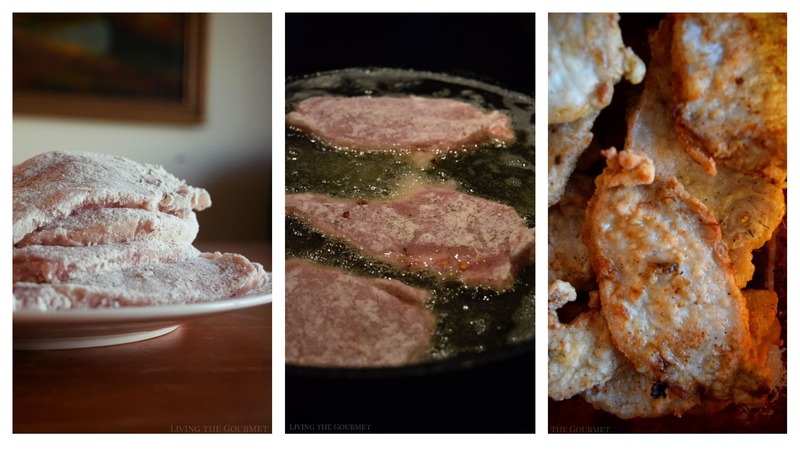 Today, the ‘scaloppine’ part of the equation is thinly sliced Smithfield Fresh Pork, which I very much prefer for this recipe and is available at my local Shoprite and select grocery stores nationwide. 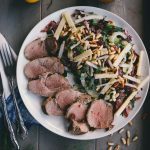 I used the Smithfield Prime Boneless Fresh Pork Loin as its hand-trimmed, features superior color and marbling, and doesn’t contain the use of hormones, steroids, or other growth stimulants. 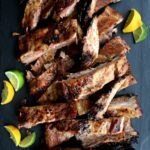 You can also find a wide variety of cuts, including chops, tenderloins, roasts, ribs, and ground pork, as well as an assortment of pre-marinated flavors, such as Roasted Garlic & Herb, Applewood Smoked Bacon, Sweet Teriyaki, and more. Start off by slicing the pork to about a quarter of an inch in thickness, and then prepare a shallow bowl with the seasoned flour described below and bread the slices in this mixture. After that, heat a large cast iron frying pan with about a quarter of an inch of canola oil and a tablespoon of butter. Once that’s heated, sauté the pork up a few slices at a time, being careful not to overcrowd the pan. You’re going to want to sauté each slice for about two to four minutes on each side, depending on how thick or thin you sliced the meat. The resulting slices should turn out a delicious looking golden color. Now, remove any excess oil from the frying pan but do – not – wipe the pan clean. While the pan is still warm, add another tablespoon of butter – because it makes everything better (I speak from vast personal experience) – and two tablespoons of olive oil to the pan. Toss in the chopped scallions and sauté them for about a minute while tossing, before adding the grated garlic, lemon juice, capers, caper juice, and finally the vegetable broth (or chicken broth, if you prefer), and let that simmer for a couple of minutes. After that, add in the wine and continue simmering on a gentle heat for another couple of minutes. Once that’s all taken care of, simply prepare your preferred pasta, and toss it into the prepared sauce. 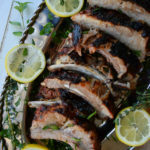 Then top with some fresh parsley, some grated cheese and a final drizzle of olive oil and lemon for effect, then top with the prepared pork chops. 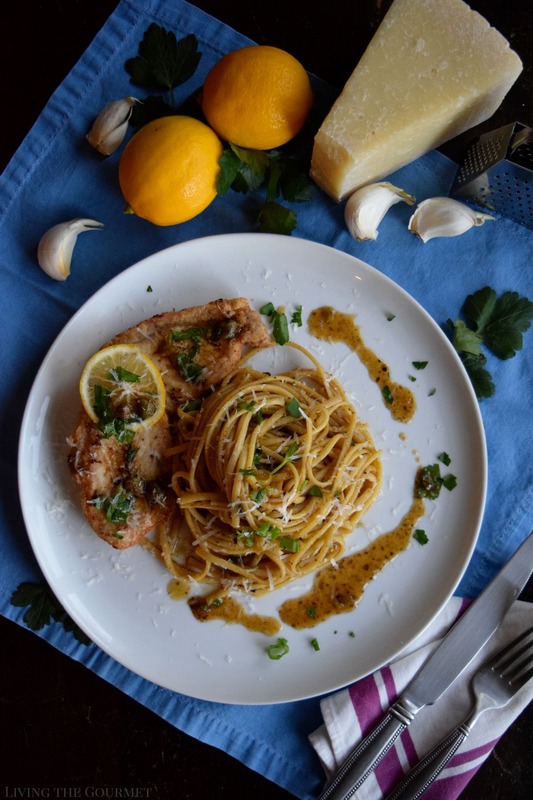 Just like that, you’ve got a delicious, if slightly non-traditional, Pork Piccata. Slice the pork to approximately a ¼ inch thickness. Prepare the flour in a shallow bowl and season with the seasonings listed. Heat a large cast iron frying pan with ¼ inch of canola oil and a tablespoon of butter. Add a few slices of the dredged pork to the pan, do not overcrowd the pan! Saute each slice for 2 – 4 minutes on each side, the cooking time depends on the thickness of the pork slice. The slices should be a beautiful golden color on each side when done. Set the cooked slices aside and keep warm while preparing the sauce. Remove excess oil from the pan, but do not wipe the pan clean! Add a tablespoon of butter and two tablespoons of olive oil to the pan that the pork was cooked in. Add the chopped scallions and saute for a minute, tossing. Add the grated garlic, lemon juice, capers, caper juice, chicken or vegetable broth and simmer on a gentle heat for a minute or two. Add the wine and continue to simmer on a gentle heat for another minute or two. Taste for seasoning of salt and pepper. Prepare the linguine as directed or your favorite pasta. Lift the linguine into the prepared sauce. Serve topped with the fresh parsley, grated cheese, a drizzle of olive oil, fresh squeeze of lemon, fresh ground black pepper, red pepper flakes and the top with the cooked pork. Smithfield is inspiring families to “shake up” their cooking routines with the Smithfield Fresh Pork Shake It Up Challenge, offering a chance to win $5,000 and hundreds in other great prizes. 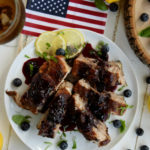 At-home cooks are being challenged to share their tips on how they use fresh pork in their go-to beef or chicken recipes to see how a little change can add a lot of flavor. • From now through April 8, visit www.Smithfield.com/ShakeItUp to submit a photo of your original dish along with a brief description on how you shake up your meal routine to receive one entry into the Contest. Limit one Photo entry per person. • Visit www.Smithfield.com/ShakeItUp and register on the website to automatically receive one entry into the sweepstakes drawing. Each eligible entry in the photo contest will count towards 10 entries into the sweepstakes drawing. • Share your photo on Facebook OR Twitter using the hashtag #SmithfieldShakeItUp and #ContestEntry to receive 10 additional entries into the sweepstakes drawing. I love piccata. 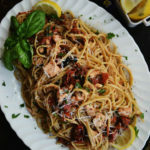 Your version with pork and linguine looks wonderfully delicious, Catherine. This looks delicious! I'm a fan of picatta, both chicken and veal, so can't imagine why I wouldn't love this version. Nothing screams Italian more than white wine, lime, parsley and linguine in a dish! Never tried a pork piccata before though, very excited to try this for the weekend family brunch! Sometimes the best dishes come when you break away from the classics and your recipe is no exception. Looks Great! 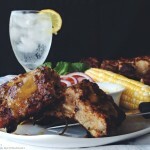 When I need to impress the family with dinner this is what I am making! Looks so good! Yum! 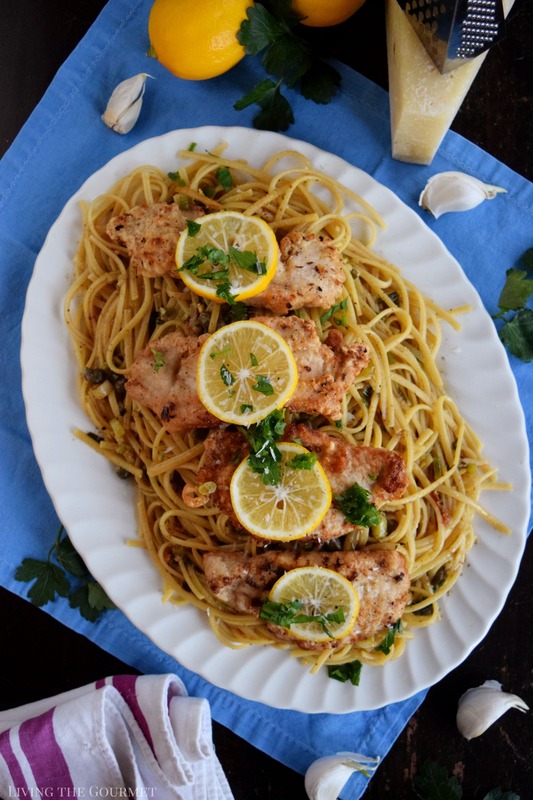 I love switching it up with pork piccata!!! I also love the Smithfield brand! It's such a quality meat! Your dish looks both beautiful and delicious and I can't wait to make it! What a great dinner! And to be able to have everything on the table in 35 minutes works perfectly for our weeknights! Any more I enjoy cooking and eating pork more than chicken - so I love the idea of making a piccata with pork. Interesting to know that in Italy different protein is more regularly used. Great recipe!